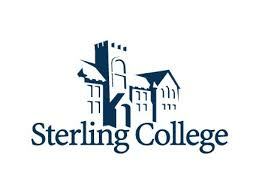 Victory Media named Sterling College one of top Military Friendly Schools for 2013. We are honored to be part of the top 15 percent of colleges, universities, and trade schools recognized for the work done to support students with military experience and their spouses. Sterling College is a participant in the Yellow Ribbon Program, a program designed to help students avoid up to 100 percent of their out-of-pocket tuition fees, and is approved by the Department of Veteran Affairs. To get you even closer to your degree, we award college credits for some College Level Examination Program tests and DANTES Subject Standardized Tests. In addition, you will not be penalized for being called into active duty, so you will not have to worry about your dedication to our country keeping you from earning a degree. Our online management program will complement your current training and experience as you further develop your leadership abilities. Our courses are designed to help you to tailor your leadership skills to fit the structure of the business world. We are excited to be able to get you one step closer to earning a Bachelor of Science in Organizational Management.